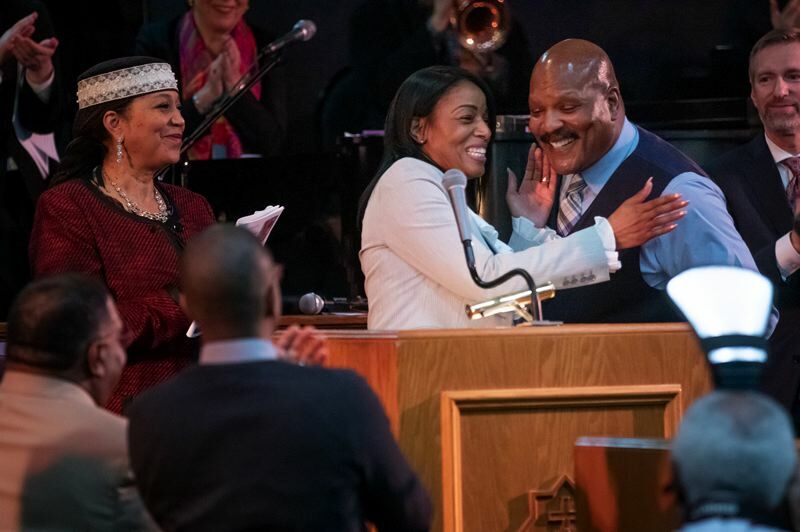 Daughter of Malcolm X , Portland Mayor Ted Wheeler and others join in Vancouver Avenue Baptist Church's annual Drum Major event. King was in the building — if not bodily, than in spirit. 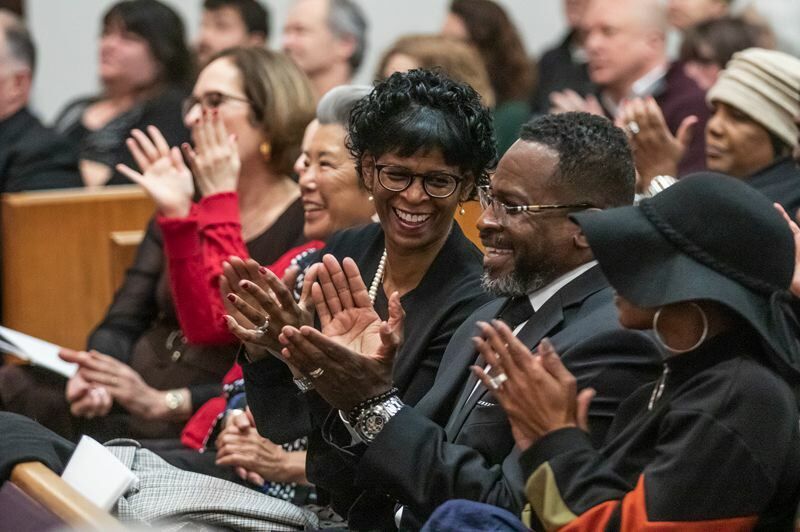 To a chorus of shouted "amens" and whispered "yeses," the packed crowd at Vancouver Avenue First Baptist Church gathered Sunday, Jan. 20, to relive the actions and recite the words of the nation's Civil Rights movement, and to honor its leading exemplar: the Rev. Dr. Martin Luther King Jr. 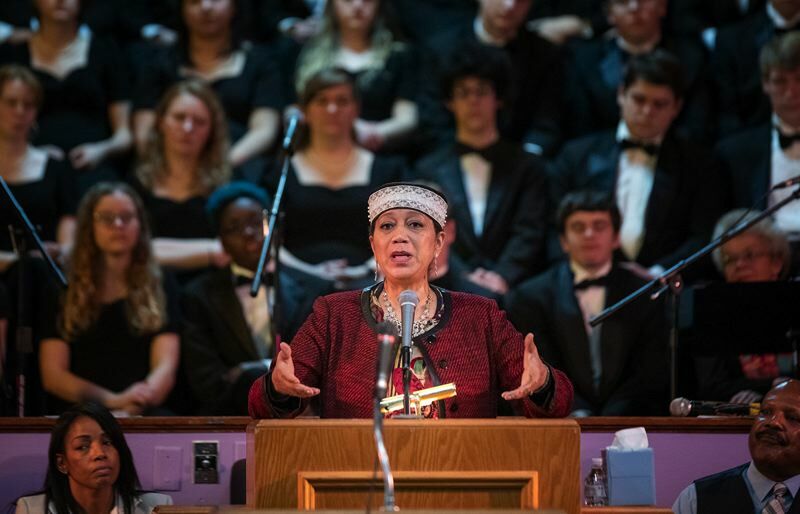 In her keynote address, Attallah Shabazz — eldest daughter to the slain Malcolm X — brought those aged 50 to their feet. While the people rising from the pews had never shared the earth with either man, she said, they were undeniably "the direct beneficiaries of their heart." "My father, Dr. King alike, could not have imagined that what they stood for would matter today," she continued. "I feel blessed having touched them, having known them, having been defined by them, having a compass because they existed." 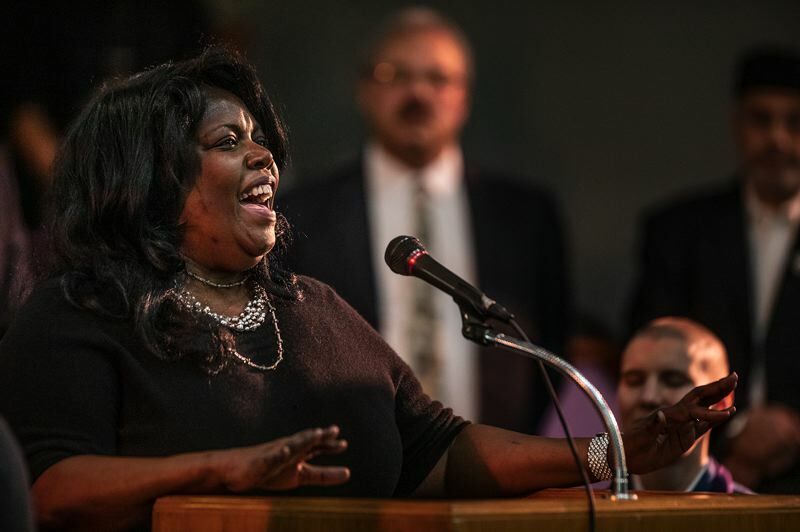 Her speech was preceded by 90 minutes of song, prayer and oration from more than 16 different faith leaders, local youth and public officials, including Portland Mayor Ted Wheeler and Multnomah County Chair Deborah Kafoury. It was the second day of the church's Drum Major Celebration, an annual tradition organized by the clergyman J.W. Matt Hennessee 13 years ago after he decided to create a fund for student humanitarians rather than throw a party for his pastoral anniversary. This year, the scholarship and civic awards luncheon distributed six $1,500 checks to a half-dozen Portland-area students. Recipients were Sarah Steele, Jefferson High School; Kenneth Kimmons, Rosemary Anderson HS; Ganiyat "Gigi" Karimu, North Catholic HS; Gavin Fortner, Sam Barlow HS; Elijah Hudson, Helensview HS; and Tosha Kitungano, Roosevelt HS. 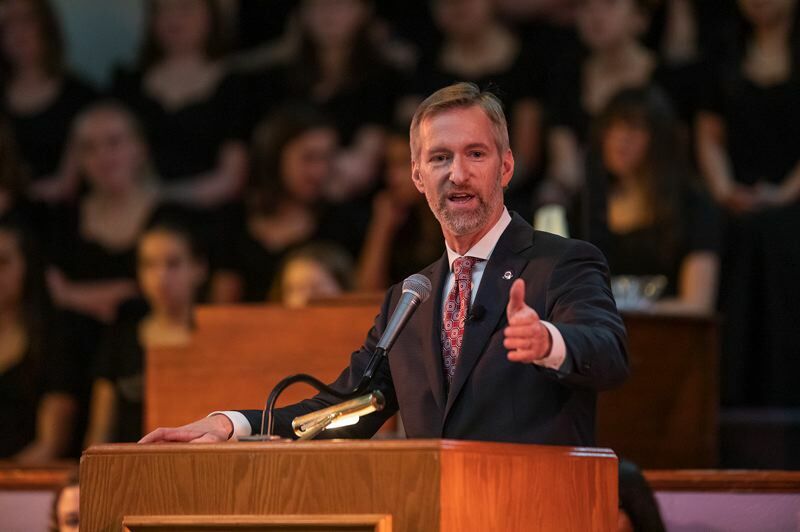 Many of the speakers addressed the concept of "Beloved Community," King's vision for a critical mass of humanity committed to forming a new society, free from bigotry and persecution, through nonviolent methods. Kafoury noted that some of the county's 6,000 employees have spent the year sharing stories of bias on the job, which she said must spur organizational change. Wheeler recalled the black hotel guest whose room at the local DoubleTree Hotel was canceled in December after a security guard found him using his cell phone in the lobby, as well as a recent incident involving discriminatory remarks made by a committee member of the Portland Business Alliance. "Do you feel, as I do, that we are being tested?" Wheeler asked. "We will not bend to racism, no matter what." Pastor Hennessee reminded the dignitaries that they were speaking from the same pulpit used by Dr. King for his only stop in a Oregon place of worship during a tour of the Northwest in November, 1961. In that case, perhaps King's spirit did not return to the building. It simply never left.